Loyal readers will already know that I am a lipgloss and lip balm fanatic. But unfortunately, many of my faves don't come with SPF! Luckily, Benefit Benetint Lip Balm SPF 15 comes packed with -- you guessed it -- sunscreen! Now I can slick on lip balm and know that my lips are uber-protected at the same time. Already a huge fan of the original Benetint, I was totally jonesing for this new version. It's formulated with not only SPF 15 but Vitamin E as well -- which means it's totally moisturizing and conditions lips to the point of exhaustion. The tiniest bit really makes your pout feel so super soft! And the color, oh, the color. I am in love with the light red hue that comes out of the tub and onto the lips so effortlessly. It makes lips look seriously juicy and just emits the perfect shade of just-bitten red. 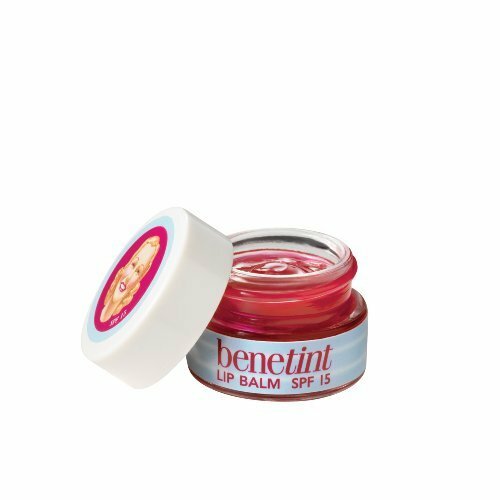 Benefit Benetint Lip Balm SPF 15 retails for $20 at benefitcosmetics.com.